MARTINSBURG, WEST VIRGINIA -- It was a timeout for me. I didn't know what I was coming into but after this night of ministry I was totally transformed by this Amazing Man of God. He's not very tall but the words coming from his mouth were a divine moment that I will never forget. 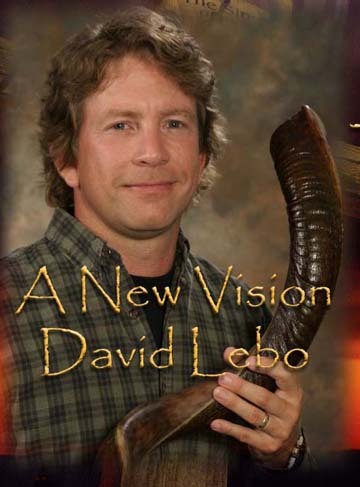 Everyone ministers in a different way and as the person on the keyboard brought the room to a high praise David Lebo began to hear from heaven. He projected the realm of the spirit that would bring heaven down to earth. Scripture says that my people perish because of a lack of vision. David was going to set the table of the wedding feast of the lamb, it went late into the night and in the early hours of the morning we witnessed the vision transform. David spoke about how the groom in Israel would offer himself to the bride by presenting a cup of wine to the bride, if the bride drinks from the cup, the two shall become one. We are like that bride, as we drink the cup of the groom we become one with Jesus. David then say, "What ever God has joined together, let no man take apart." When I heard this revelation I began to should. What a night in the middle of Martinsburg, West Virginia at the corner of King and Queen St. We saw Jesus this night with the revelation of this young prophet David Lebo. Thanks David for yielding yourself to hear from heaven, it was a life-blood to all who were in the room.